Document representation is an essential step in web page clustering. Web pages are usually written in HTML, offering useful information to select the most important features to represent them. In this paper we investigate the use of nonlinear combinations of criteria by means of a fuzzy system to find those important features. We start our research from a term weighting function called Fuzzy Combination of Criteria (fcc) that relies on term frequency, document title, emphasis and term positions in the text. 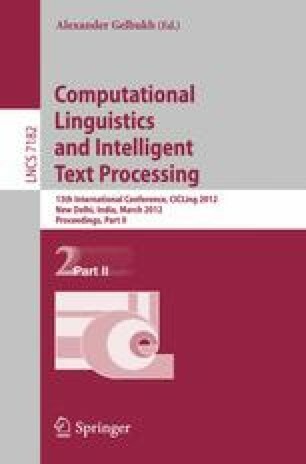 Next, we analyze its drawbacks and explore the possibility of adding contextual information extracted from inlinks anchor texts, proposing an alternative way of combining criteria based on our experimental results. Finally, we apply a statistical test of significance to compare the original representation with our proposal. The authors would like to thank the financial support for this research to the Spanish research projects MA2VICMR (S2009/TIC-1542) and Holopedia: the automatic encyclopedia of people and organizations (TIN2010-21128-C02).